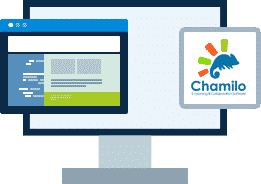 Hosting for your Chamilo website that just works. Servers optimized to give you the best Chamilo experience possible. We’ll even install Chamilo for you! We’ll move the Chamilo site for you! Softaculous auto-installer – Install Chamilo in just a few clicks. GD support – Needed for many Chamilo plugins. Zend and Ioncube support – Needed for some Chamilo plugins. Chamilo is a new project that opts for open source in a radical way. It aims at bringing you the best e-learning and collaboration platform in the open source world. 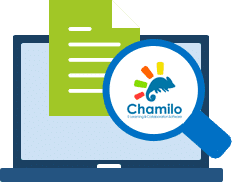 It comes in two flavours: Chamilo LMS, improved and freeer version of a software created in 2001, and Chamilo LCMS Connect, still in development, a new taste of e-learning and much more, that will definitely bring fresh and creative tools to your e-learning experience.